take in all the beauty of the area at a slower pace. Skilled Scenic Rides: This is our most popular category. These rides will require driving skill to complete. They are longer rides and many of the roads and trails will have some rocky or rutted areas. Self-Guided Rides: We offer maps for everyone who wants to ride independently and not on a group ride with a group ride leader. When you register you can register for Self-Guided Rides. You can choose up to two Self-Guided Rides and a minimum of one Activity Ride. All of our "Rides With A Ride Leader" leave right from the fairgrounds. Please see the ride descriptions for more details. All mileage is approximate. You may choose no more than 2 regular "Rides with a Ride Leader" below and choose at least one Activity Ride to make your three days of rides. One ride per day. 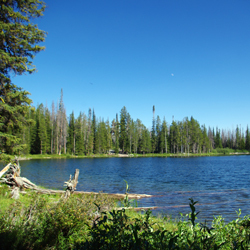 The Mountain Lake Ride is an easy scenic ride that takes you to a beautiful lake. There you can enjoy a few hours of leisure time. Bring a comfortable chair, lunch & snacks, your fishing pole or a float tube. 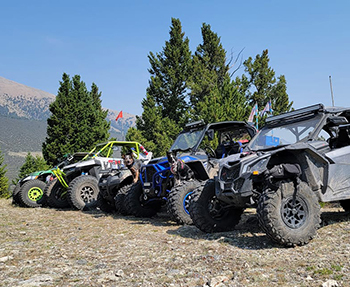 This ride returns to Rally Park the same way you came, so if you wish to stay longer than the group and return on your own, it is easy to do so. This lake is well stocked with fish all season long. Get ready for a great ride and a memorable day! 70 mile round trip ~ 20 miles from the fairgrounds to the trailhead. This ride is full. 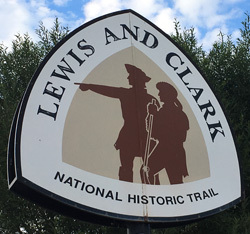 May we suggest "The Adventure History Ride" or the Self-Guided "Lewis & Clark Ride" on Sunday. 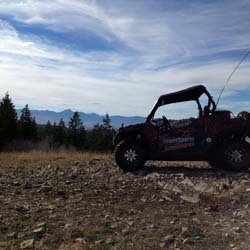 The River Gorge Overlook Ride leaves Rally Park for a beautiful scenic ride that takes you across a high mountain ridge with incredible mountain views. This rides destination is a mountain top with a view in both directions of the Salmon River Valley and the Salmon River Gorge. Make sure to bring your binoculars to be able to get a close up view of a spectacular waterfall across the valley. 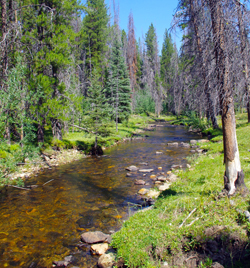 The Moose Meadows ride is a wonderful ride along moose creek. There you will visit an old prospectors cabin that has double walls. Then continue on to Moose Meadows, a beautiful high country open meadow. 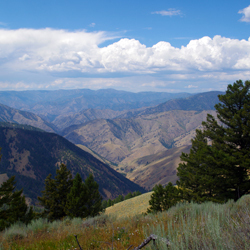 The final destination of the ride is a mountain ridge that overlooks the Salmon River Gorge. This ride is part of the Adventure Into History Fun Run. 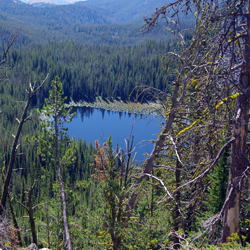 The Iron Lake Ride is beautiful and easy ride across mountain ridges and into deep forests. Beautiful views along the way. Bring your camera. Lot's of photo opportunities. 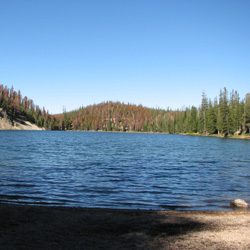 Iron lake is a wonderful mountain lake with a Forest Service Campground on it. This is where you can have lunch. 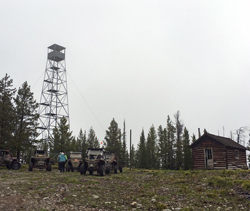 This ride takes you on a loop of the area and halfway through you are at the old fire lookout tower. 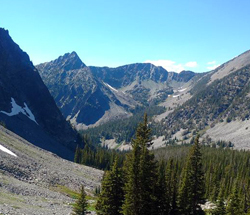 There you can see over multiple mountain ranges and into the River Of No Return Wilderness area. The Grand Loop Ride takes you on a fantastic adventure that starts with you riding along a mountain ridge. Then down into a deep canyon with beautiful mountain vistas with views over three mountain ranges. At the bottom of the canyon you will travel a short distance beside a river and then turn up alongside another mountain stream that cascades over small rocks and boulders. It is absolutely beautiful. From there you will follow it around to an old historic Forest Service site that was one of the first Ranger Stations in Western United States. 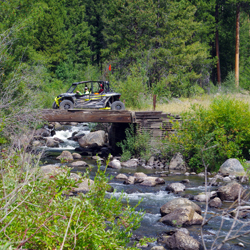 This ride takes you to some of the most scenic places the Salmon National Forest has to offer. This ride takes you through deep forests and along great trails with a couple of water crossings. 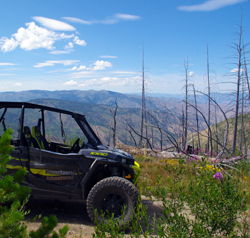 You will do a large loop and end up on the very top of a mountain overlooking the entire Salmon River Valley. This ride is rated a Skilled Scenic Ride, but it is a borderline Challenge Ride. For machines 64 inches or less. Fantastic challenge ride. Ride to the top of the Continental Divide and there are lot's of play areas along the way. This ride takes you up the rocky side of steep mountains with switchbacks to the top. Where you will enjoy views across the entire Salmon River Valley below!! The Vista Ridge Ride leaves from Rally Park and starts on easy Forest Service Roads. Then you turn off on a road that sees little use and it takes you through a beautiful forest setting and up to a ridge that is above a deep river gorge. In the distance is the Salmon River Gorge and four different mountain ranges. The road get narrower and rocky as you go along, until you reach a burn area where the wildflowers bloom amongst the blackened trees. This area is starkly beautiful. This is one big loop that takes you on a wonderful adventure. 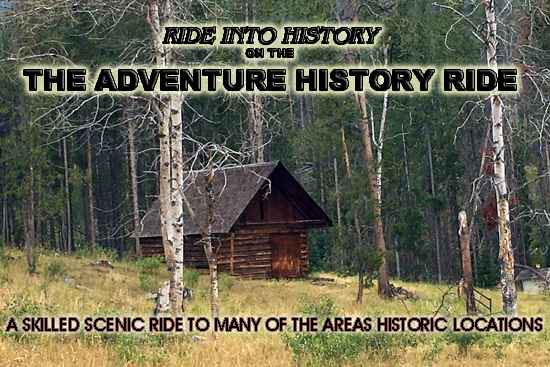 The Union Pacific Ghost Town and Lake Ride starts off on easy Forest Service Roads that circle around behind the lake. You will stop briefly for a view of the area from above. (See photo) From there you will drop down on narrow trails that are rocky and rutted. At the turn off you start the ascent to the ghost town and lake. This trail is narrow, rocky and hard to maneuver. Please, experienced drivers only. The lake is a beautiful little lake with lily pads that has the old railroad ghost town near it shore. PLEASE, do not drive your machine to the waters edge. This is a very fragile alpine environment. This ride is rated a Skilled Scenic Ride, but it is a borderline Challenge Ride in one area. 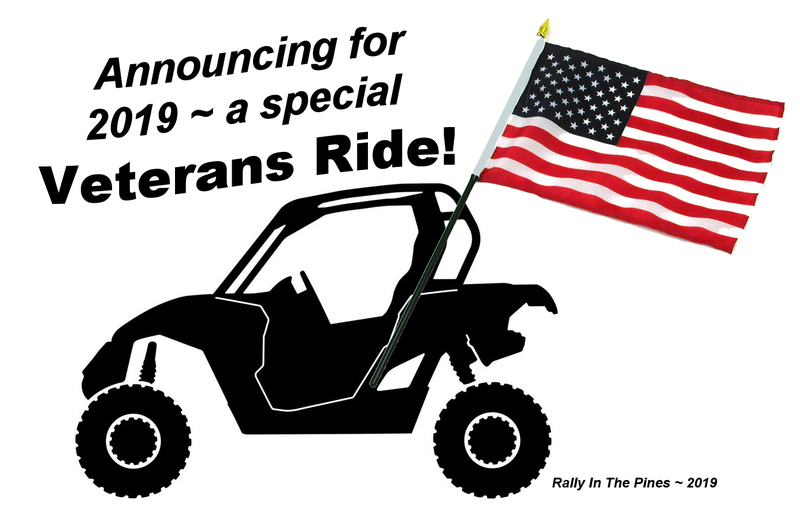 Lunch will be provided for our Veterans on the Thursday ride. THANK YOU FOR YOUR SERVICE! 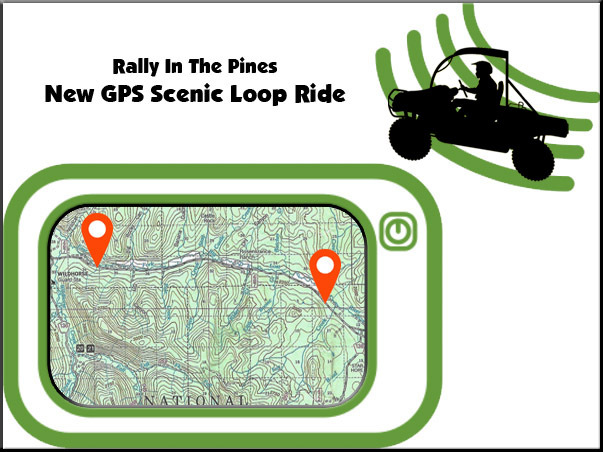 All Activity Rides leave from Rally Park and there is no width restrictions. 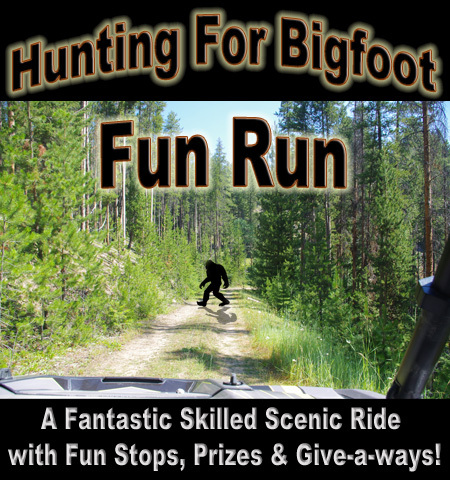 This ride is designed like a fun run and will only be offered on Friday, July 12th. Even if you are not a history buff, this is a fantastic loop ride!